Students at Meekatharra DHS construct the Tiny Radio Telescope (TRT) during an Aspire to Astronomy tour in the Midwest. 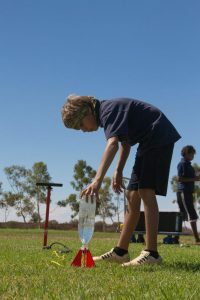 This was one of several activities kids enjoyed thanks to a visit by scientists and science communicators from The University of Western Australia, the International Centre for Radio Astronomy Research (ICRAR), Aspire UWA, SPICE and Scitech. Over 12 days, students in Carnamah, Morawa, Meekatharra, Mt Magnet, Pia Wadjarri, Kalbarri and Jurien were treated to a smorgasbord of celestial delights as part of UWA’s Centenary celebrations. 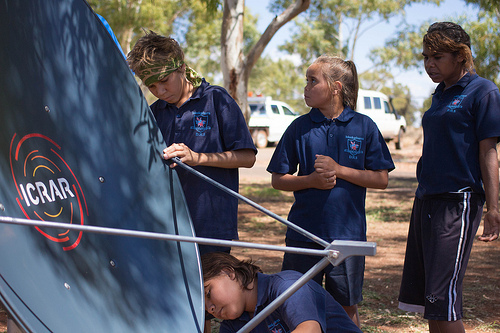 During the days, school students and teachers looked at the Sun through specially designed telescopes. They also built radio telescopes and found out how to calculate the weight of a galaxy. At night, communities came together to reconnect with their own brilliant night sky by taking a closer look at the stars, galaxies, nebulae and planets above. 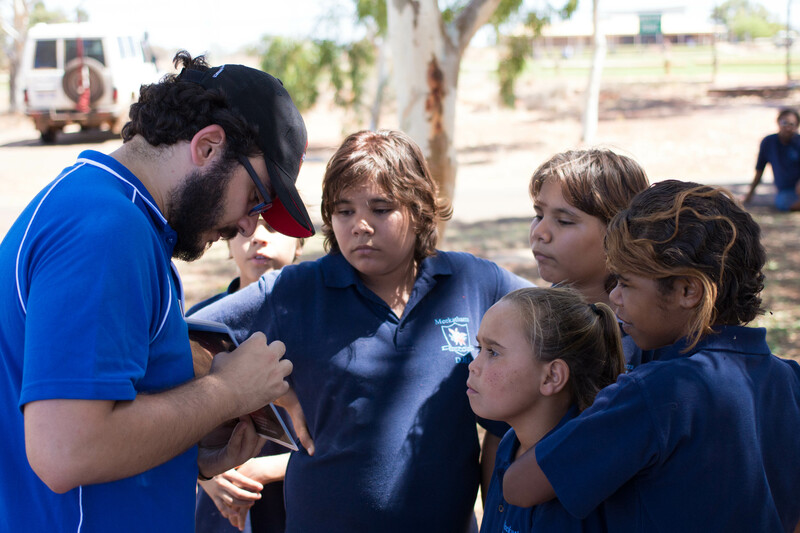 ICRAR PhD Candidate Mehmet Alpaslan discussing Jupiter with students from Meekatharra DHS. In Mt Magnet, a special ‘Astrofest’ was the biggest event of the trip. With an inflatable planetarium, glow in the dark water rockets, an astrophotography exhibition featuring work of WA photographers and science shows and talks, it was very popular. 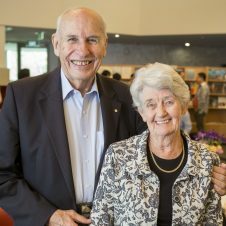 One of the organisers, Pete Wheeler, ICRAR’s Manager of Outreach, said it was a great tour. “We’ve seen some amazing places and met some amazing people along the way. We leave behind people who know more about their night skies and the radio astronomy happening right on their doorstep,” Mr Wheeler said. The astronomy roadshow was a way for UWA to thank the West Australian community. This initiative – and others like it – are a way for the University to ‘give back’ in return for the 100 years of community support the University has enjoyed. The Mid West is becoming a global hub of astronomy and related research, with several new radio telescopes coming online in the Murchison and the announcement early last year that part of the Square Kilometre Array (SKA), the biggest telescope in the world, will be built in the radio-quiet region. 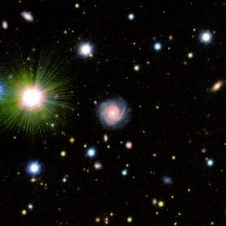 The SKA, due for completion in 2025, will use a network of millions of antennas to gather radio signals from the oldest and most distant objects in the Universe. The telescope will allow scientists to better understand how stars and galaxies formed billions of years ago and may even reveal other life in the Universe. More information on the Aspire to Astronomy Tour.